We built our web portal to be both secure and easy to use so your physicians would find value in working with it. Often portals combine a series of disjointed requirements or have been built as an afterthought, which means they have quirks that clients must work with o work around. Many portals are built using old technology and simply are not able to take advantage of modern web functionality and user experience. We made our portal to be a seamless extension of LIMSABC, a place where each of your clients can come and easily enter new requisitions and access all of their information. Our portal can also be used as a stand alone system that interfaces to existing LIS systems through HL7 integration.new requisitions and access all of their information. 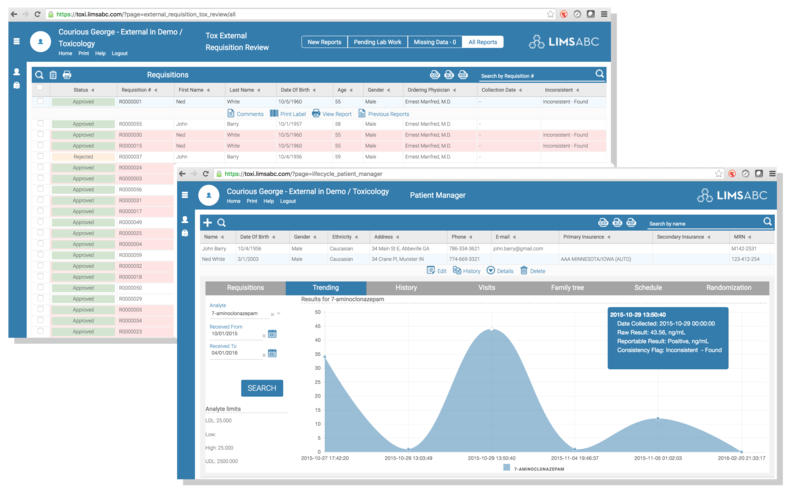 Our portal can also be used as a stand alone system that interfaces to existing LIS systems through HL7 integration.